We use PayPal for our purchase experience. It is secure and convenient. Click the ‘Buy Now’ button to start the purchasing experience. Follow the steps described in the tutorial below. No PayPal account? No problem. You can pay via your Credit or Debit card. Please follow this link. 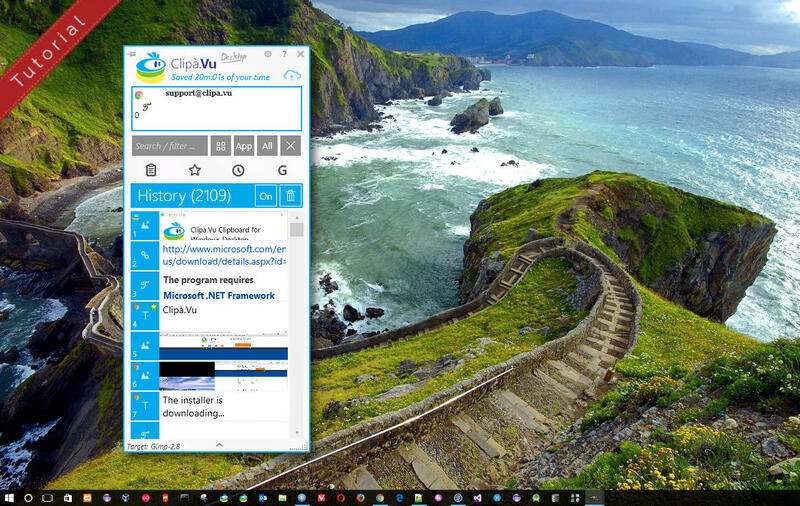 Microsoft Edge, Microsoft Internet Explorer users! There used to be problems with these browsers during 2016. These should be fixed by now. In case you still bump into any difficulties then please use Chrome, Firefox or Opera browser to perform the payment. 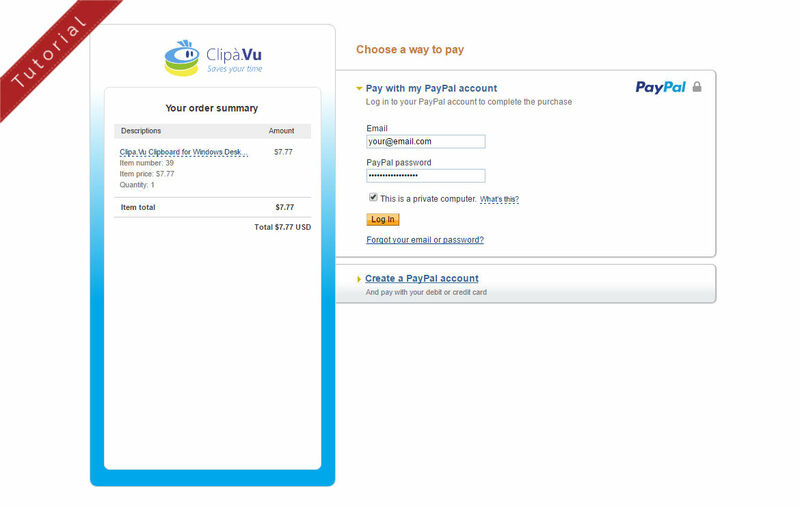 1) Log-in to your PayPal and do the purchase. 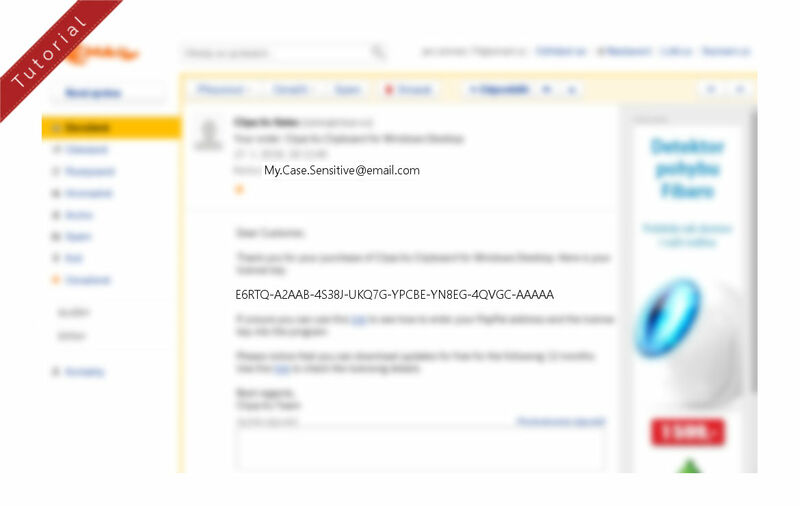 2) You will receive an activation key on your PayPal email address shortly after your payment checkout. 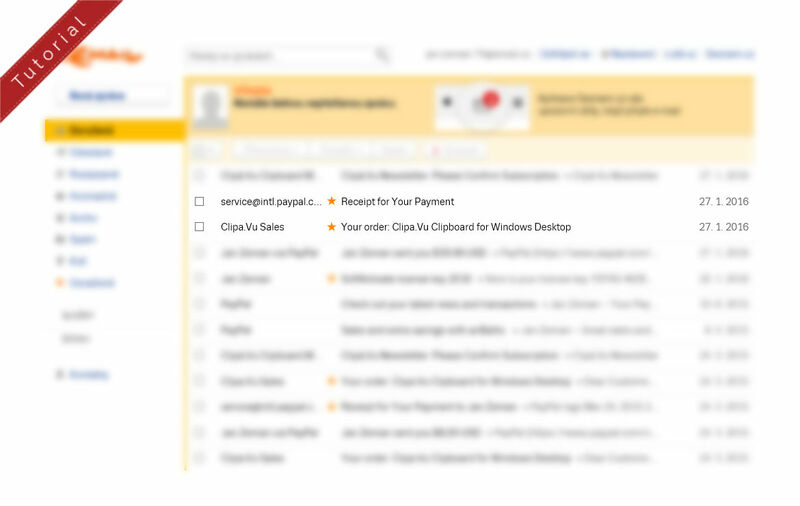 3) If you don’t receive your key within 15 minutes, check your spam folder – the subject of the email is: “Your order: Clipa.Vu Clipboard for Windows Desktop”. Contact us on [email protected] if you haven’t found it. 4) Click the red ‘Free’ ribbon on your limited app version. 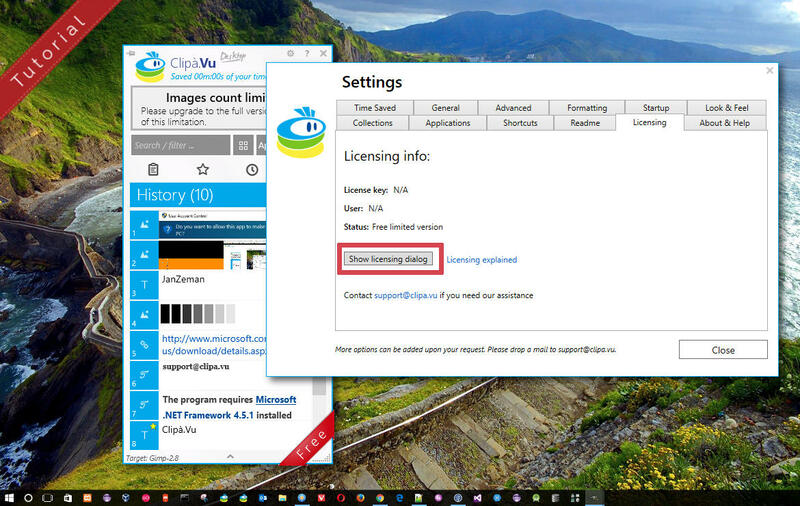 Alternatively open Settings > Licensing > Show licensing dialog. 6) Copy & paste your email and activation key. 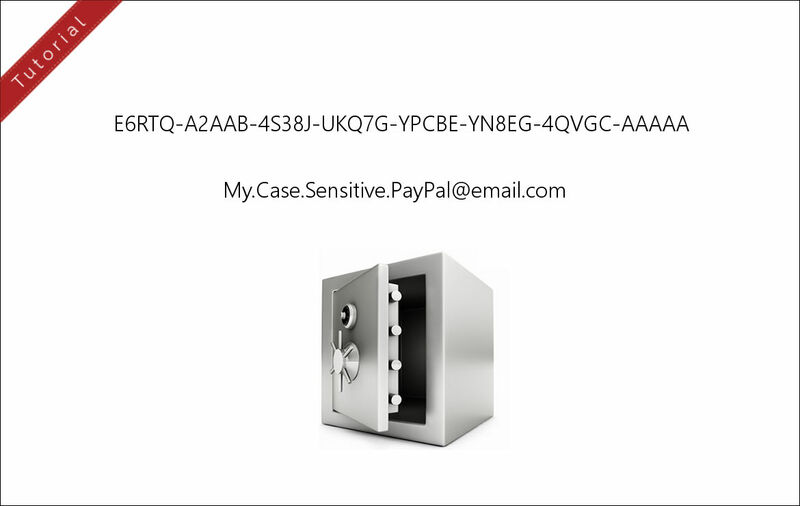 Please notice that PayPal email address is case sensitive! 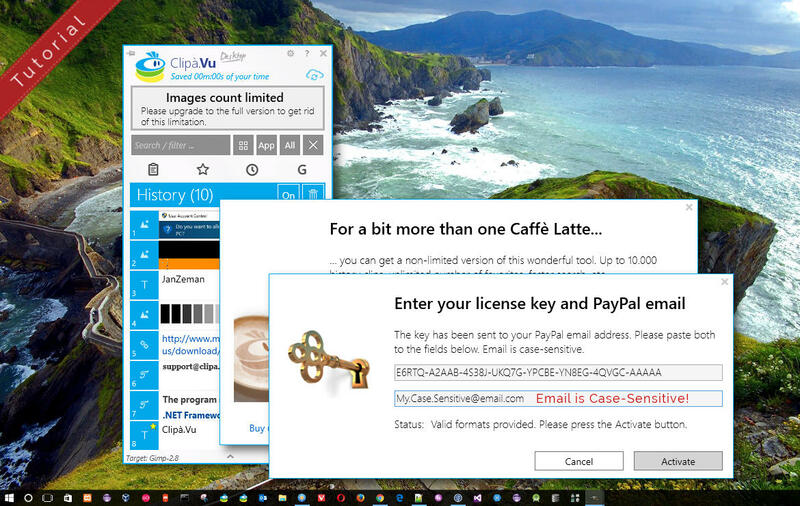 9) Do not delete the email you received and / or save the activation key (together with your PayPal email address) on your favorite place. 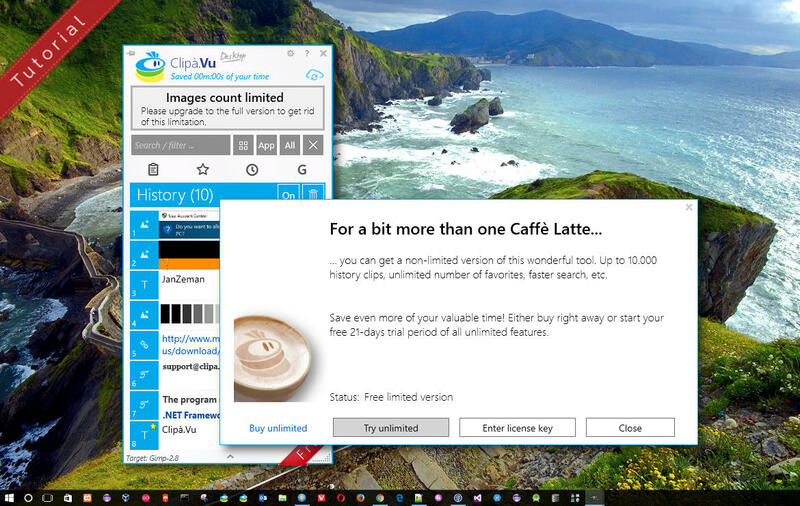 You will need those in the future if you want to activate Clipà.Vu on another computer.